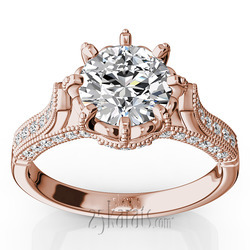 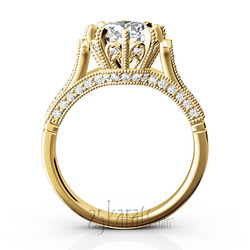 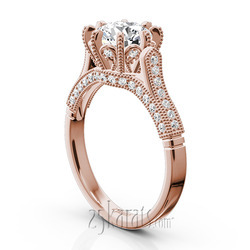 A brilliantly designed antique engagement ring that stands out with crown like center prongs. This beautiful engagement ring features 1/3 ct. t.w. diamonds to present your choice of center diamond piece. Available in 14k, 18k gold, platinum and palladium.